Welcome to your Cancun scuba diving experience. 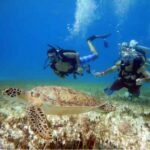 This will very likely be the highlight of your next trip to Cancun Mexico, one of the world’s greatest diving locations. 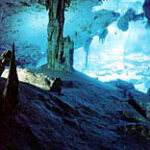 Here in Cancun there are many different dive adventures to choose from. Our most popular experience is the guided tour to what has become an enormous underwater museum. This museum is full of statues, left to become new coral reef at the bottom of the ocean in replace of prior hurricane damaged reefs. However don’t worry if statues aren’t your thing you have many other options here in Cancun. Another popular dive here in Cancun is the ship wreck dive, where you get to experience two Mexican Navy ships that rest at the oceans floor. 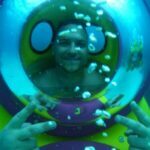 This is great for anyone that wants to experience an authentic underwater adventure. However when planning your Cancun scuba diving trip don’t forget about all of the cenote’s, and specialty diving tours such as bull shark diving and so much more. Take you time to find the right tours, and we will guarantee your happiness on your next trip to Cancun.